After all those palo cortados last night I felt like a nice glass of amontillado and this is just the ticket. I first opened this bottle back in September and have had a few dips in the time since – it is one of those wines you can drink on any occasion. Anyway, here it is again, a beautiful orange amber colour – a touch darker than I remember from six weeks ago and maybe just a bit less sweetness on the nose. Seems an odd thing to say about a wine that has been traditionally aged for so long but in the few weeks open it seems to have lost a little energy. It still has a powerful zingy, acidic feel to it -really acidic on the tongue – and a big flavour of smokey herbs and burnt caramel. 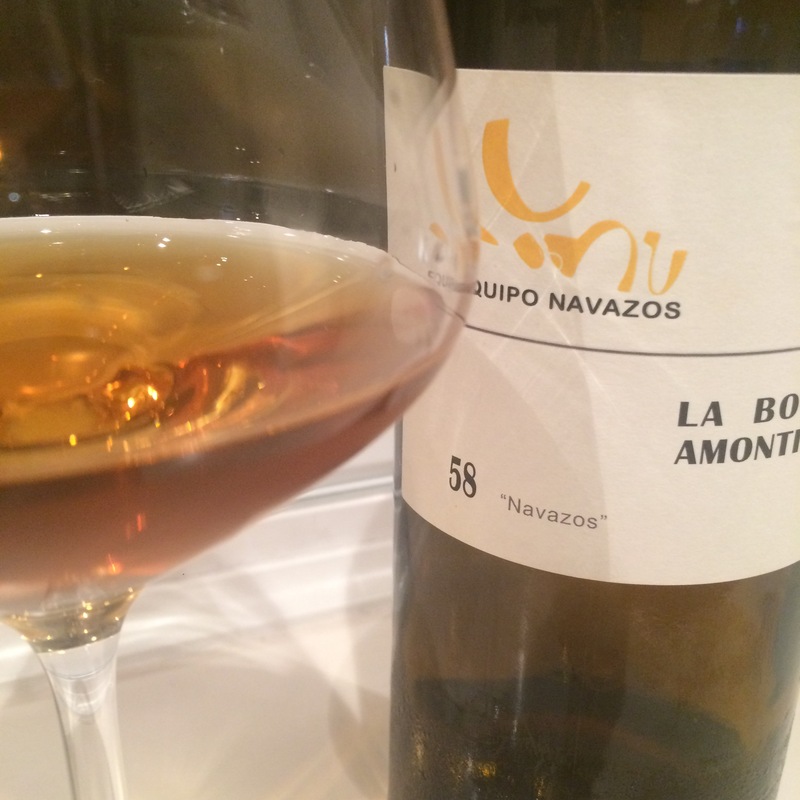 What I love about these amontillados is not just the bready, nuttiness but the lack of astringency compared to the olorosos and palo cortados – they don’t seem to have the same reduction at a similar traditional age. It makes the finish much lighter and more elegant. Whatever, this was cracking. Am glad to have had a couple of glasses, if sad to have finished the bottle by doing so.